The hostile confines of Ground Zero at Goddard High have thrown plenty of Artesia High School sports teams off their game over the years. 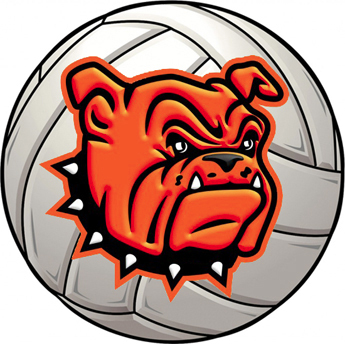 But while the Bulldog volleyball squad may have been rattled a time or two by the excessive noise and close quarters, they buckled down in the end, fending off the Rockets for a 3-1 victory (25-21, 23-25, 25-22, 25-21) that puts Artesia at 2-0 on the early district season. As the scores indicate, a battle is precisely what took place Tuesday in Roswell, but the girls in orange created the opportunities they needed at the most opportune times, overcoming a Game Two loss to get the job done. The Rockets’ rally nearly forced the ‘Dogs into a deciding fifth set, but Artesia mounted a charge of their own in the final points, hanging on for a 25-21 win. “I think the match went the way we expected it to go as far as what Goddard would be strong at,” said Williams. “They have a tremendous block. At one point in their rotation, they have all 6-footers or higher across the front row, so they block a lot of balls. And when you’re 6 foot, it doesn’t take much to hit the ball, either. Dezaray Boyce once again led the ‘Dogs in kills on the contest with 14, while Paityn Houghtaling contributed 10 blocks, Elliot Harrison four aces, Kersie Beltran 22 assists, and Sadie Ramirez 28 digs. The victory improves the Bulldogs’ overall record to 13-1 on the season, 2-0 in district as they prepare to close out the final match of the first round at 6:30 p.m. Tuesday against Portales on the road. “We’re pretty familiar with Portales from the summer, but I’m sure they’ve improved a bunch,” Williams said. “We’ll just continue to try and do the things we think we’re better at. I think we have some advantages over them, and hopefully we’ll be able to key in on those things and have success there.